Physical fitness, in many forms, has tremendous benefits for people with autism spectrum disorder. 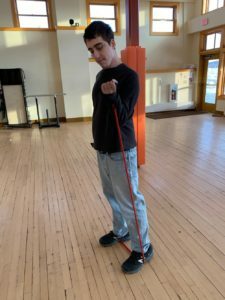 Exercise interventions can be used as a preventative/coping strategy to combat stress and challenging behaviors like aggression and self-injury in individuals with autism. 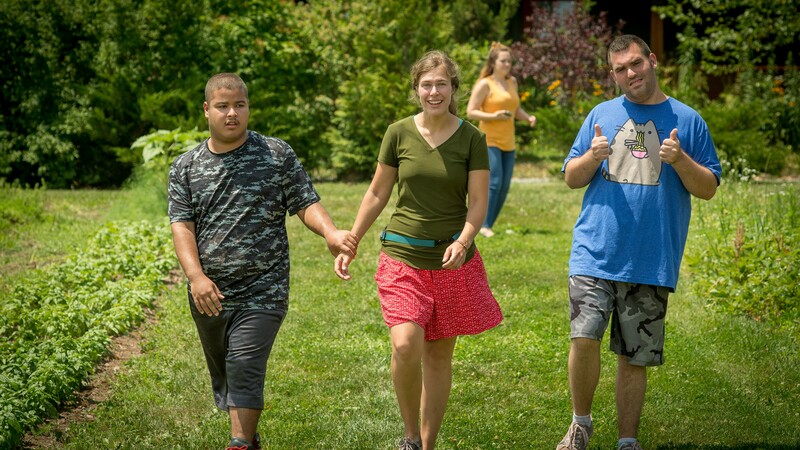 Here at The Center for Discovery, exercise has been utilized to not only promote overall wellness and reduce the likelihood of maladaptive behaviors from occurring, but also as a coping strategy to encourage self-regulation through the Energy Regulation portion of our HealthE7 initiative. Tip 1: Consider your child’s preferences. Determining your child’s preference of physical activity will help you create a program that will be motivating. Start by doing exercises they enjoy before challenging them to learn something new. Some examples of physical exercise activities include walking, running, bike riding, swimming, resistance training & weight lifting. Note: Please consult your child’s primary care physician or physical/occupational therapist before proceeding with a program. Tip 2: Incorporate exercise into your daily routine. Setting the expectation of physical exercise will help your child prepare themselves for potential difficulty completing the task and be more consistent, which will yield better results overall. Tip 3. Use to help de-escalate. Exercise can also be used to help someone deescalate (i.e. taking a walk upon initial signs of agitation, if safe to do so). Tip 4: Use a First/Then. If your child lacks interest in physical exercise, you may need to offer some additional motivation. Schedule a preferred activity following exercise or offer time with a favorite item when finished. Tip 5: Join in! Model the exercises you want your child to do. After all, you can benefit, too! Tip 6: Use the 3 “P’s”- Prompting, Patience, and Praise. Exercise can be difficult for some individuals to complete. Give your child clear verbal directives and use gestural and touch prompts as needed to demonstrate moves. Allow adequate time for your child to complete the exercise move before moving on to the next. Don’t forget to tell them how great they are doing throughout the workout! Contributed by Corrinah L. Martin, Behavior Specialist at The Center for Discovery.